The island, given the name Ilha Formosa by Portuguese mariners in the 16th century, is now home to the people of Taiwan. Inspired by their ancestor’s early lives as hard working, new immigrants, a group of young Taiwanese artists incorporated Asian cultures with local life in Taiwan to create stunning art pieces. They presented that sentiment in visual forms to communicate with their audience; thus, Sentimental Landscapes became the topic of their exhibition. The works feature media ranging from oil paint, acrylic paint, watercolor, ink, clay, wood, metal to multimedia. The works take forms such as traditional paintings, sculptures, public art installation to contemporary action art. Topics include visible objects like the human body, birds, and flowers to abstract concepts such as interstellar space and fictional scenery. Not only are the artists professionally trained and naturally talented, they are also award winners. 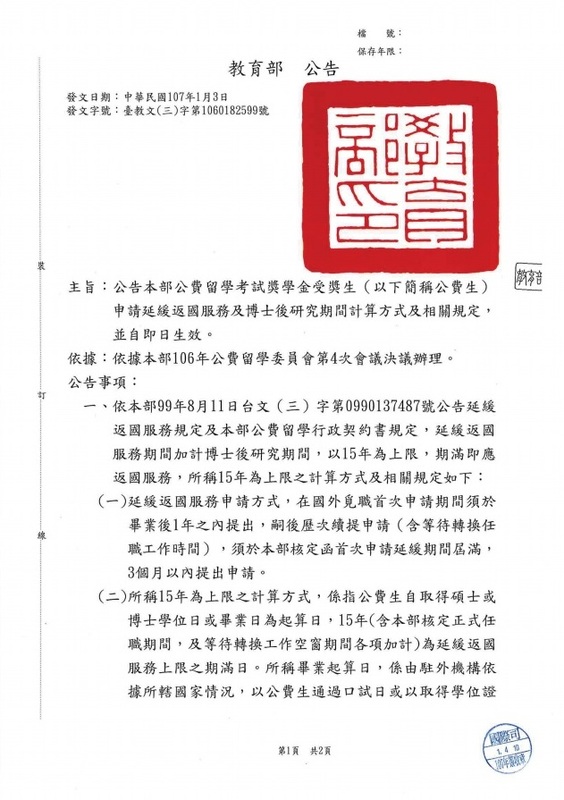 With years of international art exhibition experience, they have turned their canvases into story boards that beautifully and adeptly voice the history and culture of Taiwan. This year, they have reached out to Houston with great passion; using their art to introduce Taiwan to the Greater Houston Area. 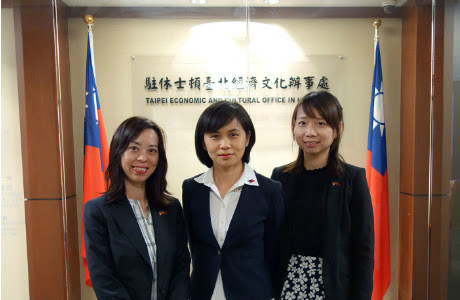 Whether through the vehicle of education or other means, the Education Division of TECO in Houston never turns away from an opportunity to promote Taiwan. 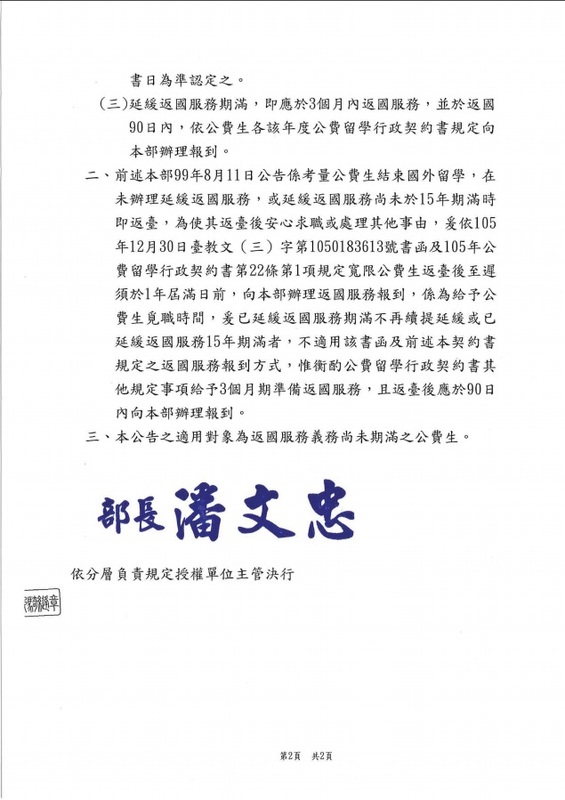 The office organized a meeting hosted by Director-General Peter Chen of TECO in Houston to welcome the representative of the group, Mr. Chung Ying Hou. The welcome and fundraising luncheon was held at the Rice University Faculty Club on January 29, 2018. Community leaders known as strong supporters of the arts also attended. The prospective exhibition in Houston is expected to take place at the end of 2018. 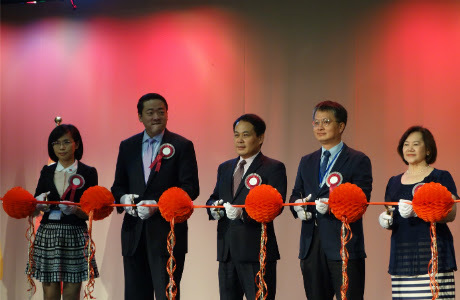 An estimated 500 attendees will engage in the grand opening and exhibition. 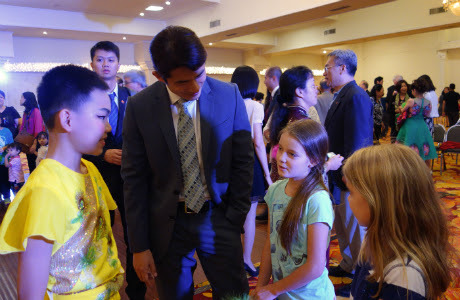 The goal of the event is raise awareness of appreciation for art as well as for Houstonians to learn about the beautiful island, Taiwan, through the exhibits of the Sentimental Landscapes. At the end of December 2017, Superintendent Richard Carranza of the Houston Independent School District (HISD) and Mrs. Carranza visited Taiwan as distinguished guests of the Ministry of Education. Despite a trip as short as one week, Mr. and Mrs. Carranza enjoyed their stay very much and spent most of their time visiting K-12 schools. They were highly impressed by the schools, teachers, and students they encountered along the way. 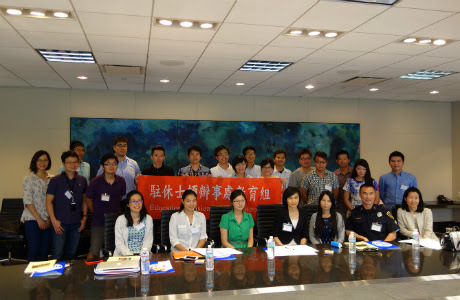 As a result of collaborative efforts from the Education Division of the Taipei Economic and Cultural Office (TECO) in Houston, HISD and the Department of Education of the Taipei City Government entered an educational partnership in 2015. This partnership has brought together schools on both sides and increased access to great programs such as teacher exchange, and a student pen-pal project. 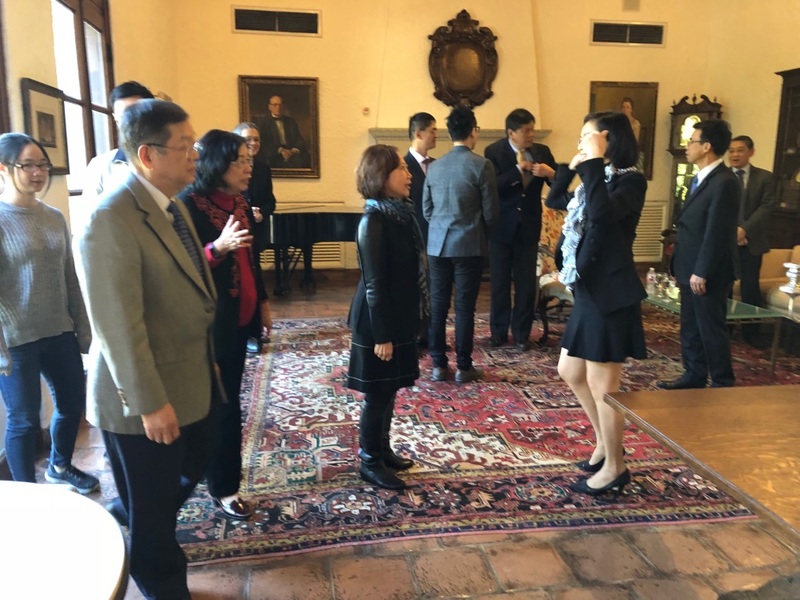 Superintendent Carranza took the opportunity to visit HISD’s partner schools in Taipei including Da-Li High School and Nei-Hu High School to gain an in-depth understanding of the aforementioned programs. On top of his trip, he witnessed an agreement established on the educational partnership between HISD’s Mandarin Chinese Magnet Immersion School and Ming-Dao Elementary School of Taipei. Mr. and Mrs. Carranza’s journey would not be complete without visiting schools of other cities in Taiwan. 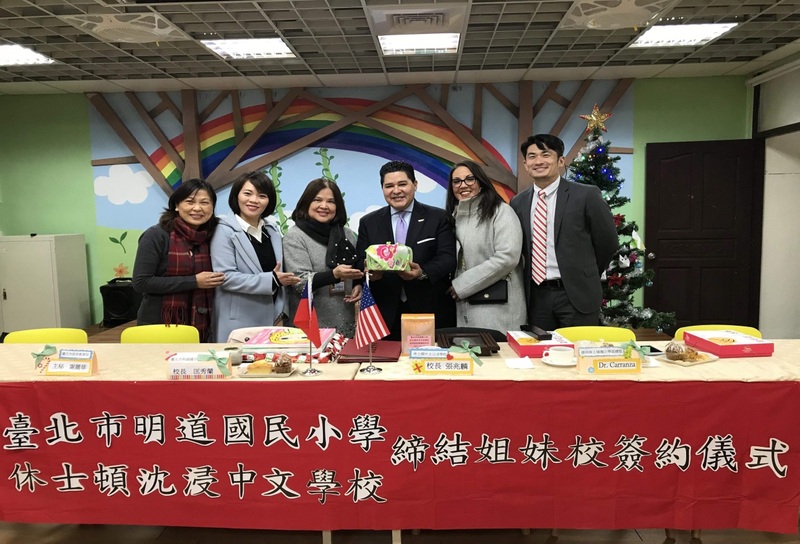 Principle Charlie Cha of Min-Zu Elementary School was thrilled to introduce Chia-Yi City’s English Wonderland program to the school’s first visiting education official from America. 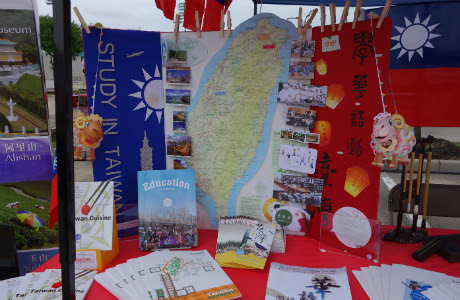 Texas Education Agency certified teacher, Judy Fang, who was recruited by the Ministry of Education in Taiwan for the Teaching in Taiwan program, was more than excited to demonstrate her teaching for the occasion. Superintendent Carranza was elated to meet a Texas teacher in Taiwan and admired the effort Judy put into her teaching. As Chia-Yi County is home to the magnificent A-Li Mountain, it enjoys a fine reputation for producing high-quality Taiwanese tea known the world over. The tea ceremony and tasting at Min-Zu Elementary was an eye-opening experience for Mr. and Mrs. Carranza. They were fascinated and charmed by the volunteer parent of the school who elegantly conducted every step in making a cup of tea to perfection. 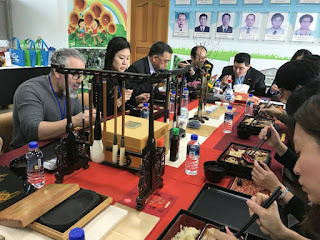 The ceremony was accompanied by a beautiful performance featuring a stringed instrument, a dulcimer (揚琴), carried out by a sixth grader at Min-Zu. 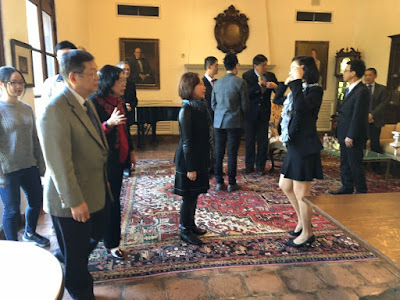 As first timers to Asia, Mr. and Mrs. Carranza left the National Palace Museum and Chi-Mei Museum with disbelieve that Taiwan, a small island, could play such a big part in the world of art collections and is the host to the world’s largest ancient Chinese artifacts. Memories of stunning views, friendly people, great school programs, dedicated educators, and diligent students steadily stacked up along their trip. The visit has further strengthened educational partnerships and is an encouraging sign for future collaboration.